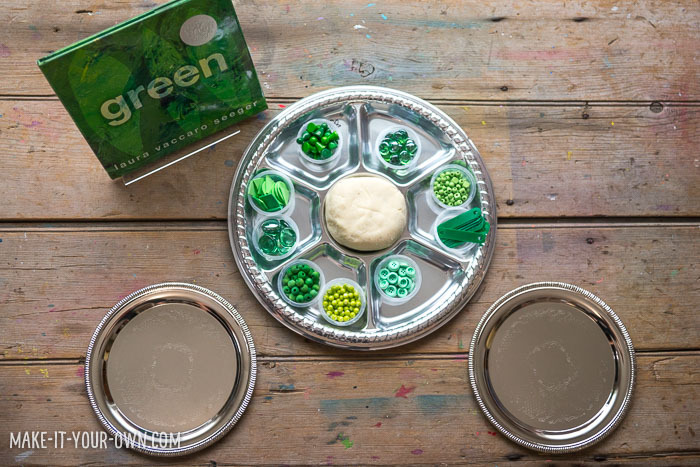 We give you 3 simple set-up ideas for play dough for St. Patrick’s Day using loose parts! Make or purchase your play dough. 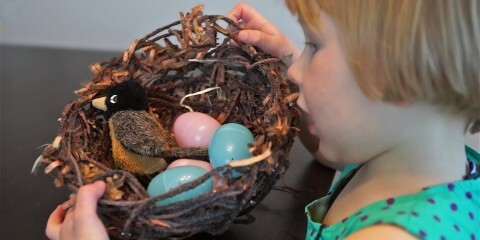 Here is our favourite recipe: http://make-it-your-own.com/fall-fun-pumpkin-pie-playdough-gift-jar/. You could colour as well, but we went with a sparkly white so the pieces would stand out. If I was working in the classroom, I would make 4 batches of the recipe for one centre. We put our loose parts in the centre of the table where they were accessible. 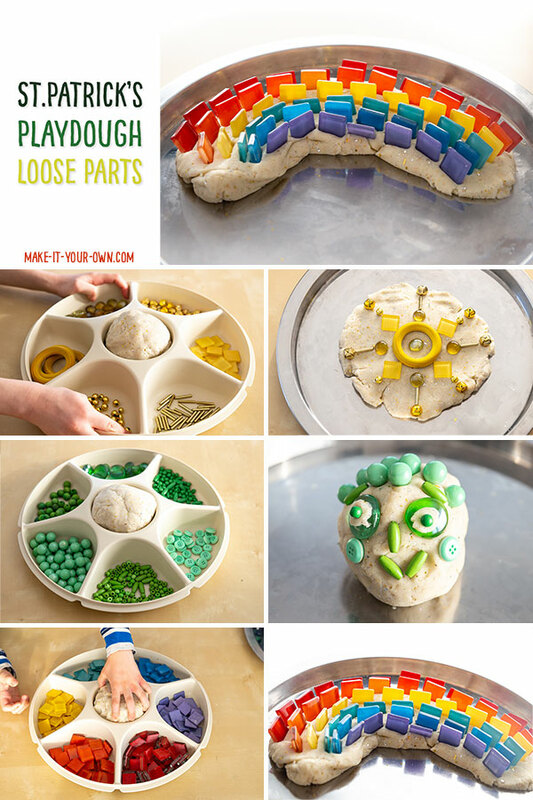 Arrange your trays around your loose parts. 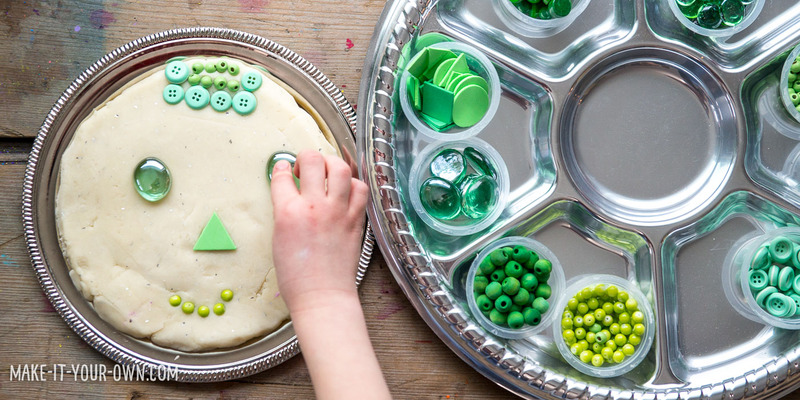 Depending on your classroom space and dynamics, decide on how many children could work on this activity at a time and put out that many trays, placemats etc. 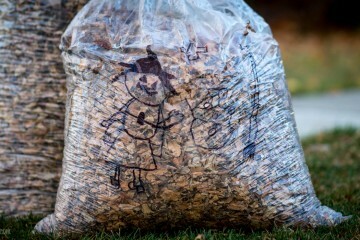 Explore with the loose parts to create images or something more abstract. 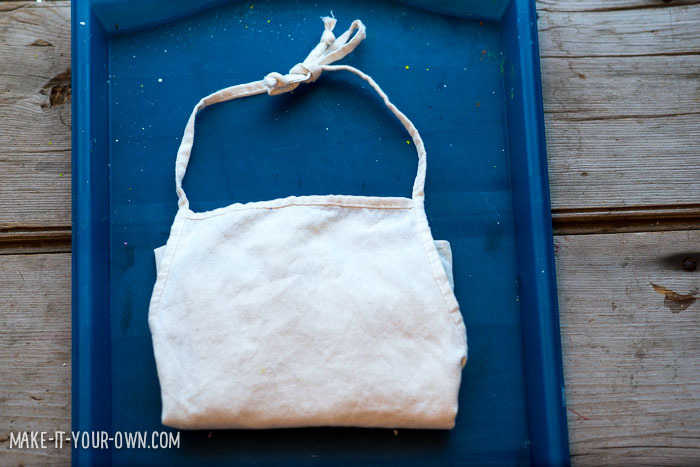 As you can see, we have done this a few years, showing you a few options for organizing your space. Rotate you loose parts throughout the week. As you can see, we tried- GOLD like treasures found at the end of the rainbow, GREEN which is synonymous with the shamrocks of St. Patrick’s Day and RAINBOW for the rainbow itself! 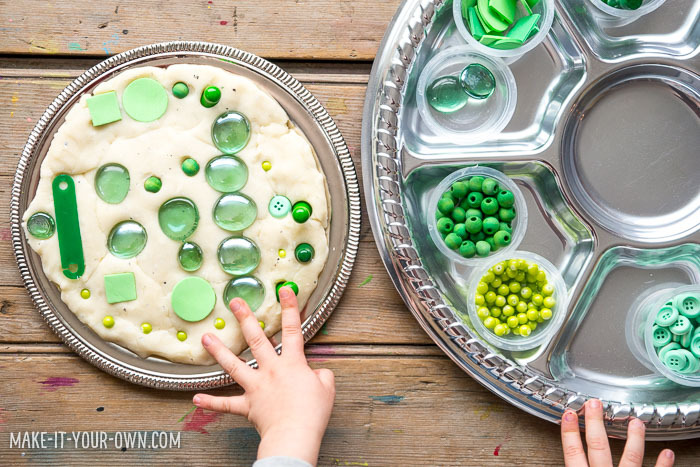 Manipulating loose parts allows for developing one’s fine motor skills, experimenting with design, exploring in an open-ended fashion as loose parts lend to unique combinations for each learner. The play dough should be made by an adult and directly supervised during use due to the salt content of homemade play dough.